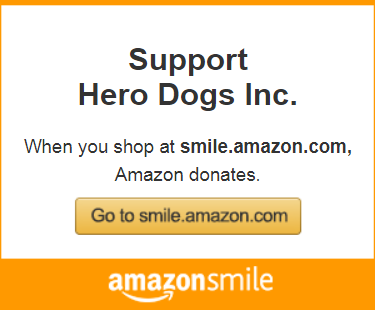 Raising Hero Dogs Samuel Nicholas "Nick"
Looks hard. He's the best! I probably couldn’t do one step backwards. Haha! Outstanding!! Way to go, Nick!! And Robin!! I am getting very big and no one can believe that I am only 5.5 months old now. I have been working every day on my manners. I must wait at the door and not run out until I am told ‘at ease’. Once I go through I must turn and face my raiser and wait for her to come through the door. No dashing outside for me. I have graduated from puppy kindergarten to a puppy 2 class. I will be practicing what I already have learned and will learn new skills too. I was on a quarterly puppy swap when November started. That is where I go to another raiser’s house and another Hero Dogs goes to my house for a week. I really enjoyed my visit with the other raiser, Evelyn and her two sweet daughters. They have a CAT which was so interesting for me to see. I didn’t really understand why she wouldn’t play with me though. 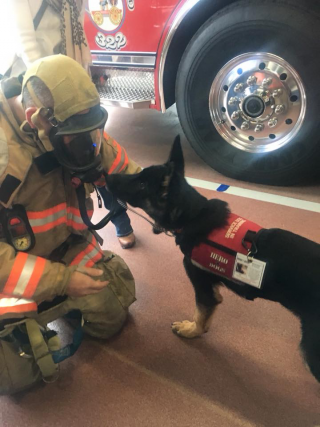 I made a trip with them and some other Hero Dogs to visit the fire department. The firefighter was all dressed up in his gear and it was very interesting to me. I returned to my raiser and continued doing things with her. Some things are pretty boring like waiting for her car to get serviced and shopping for appliances. Other places are more fun parks and tennis courts to play ball things like that. I do make an impression everywhere I go because I am very handsome and behave very well in public. 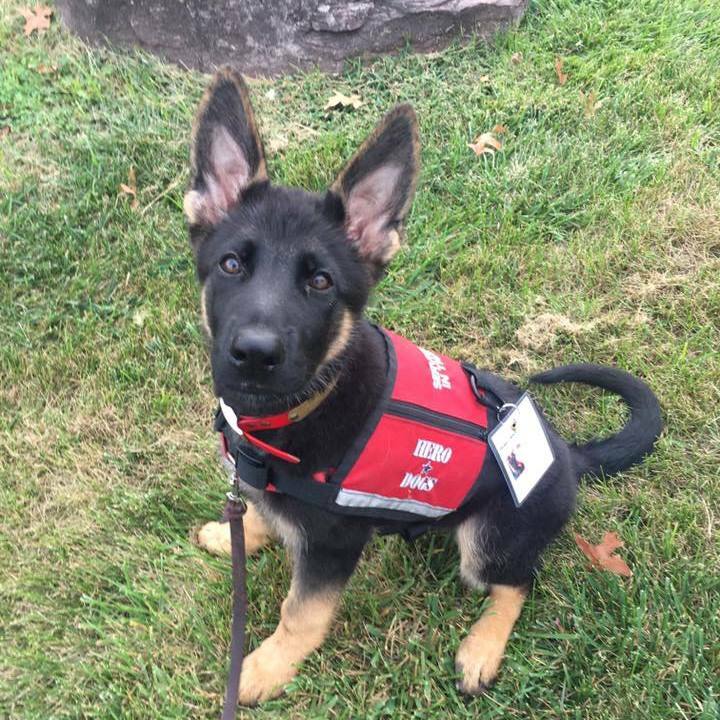 For part of November my raiser had to go far away and I couldn’t go with her so I stayed with three different puppy sitters. They all have the same rules so I don’t really get away with anything. They take me new and different places which is very good for me. I really like making new friends and spending time with different people. 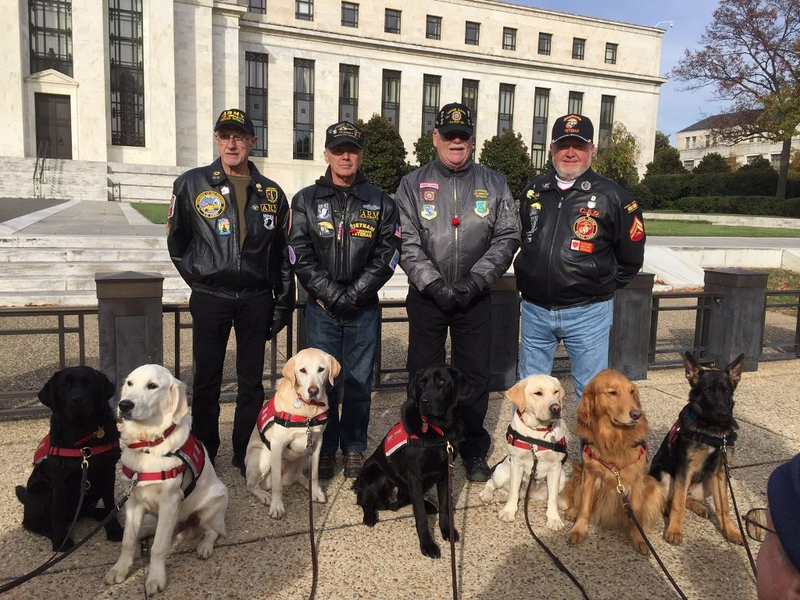 On Veteran’s Day I went to DC with other Hero Dogs to honor those who served. Click here to read Nick’s full blog.